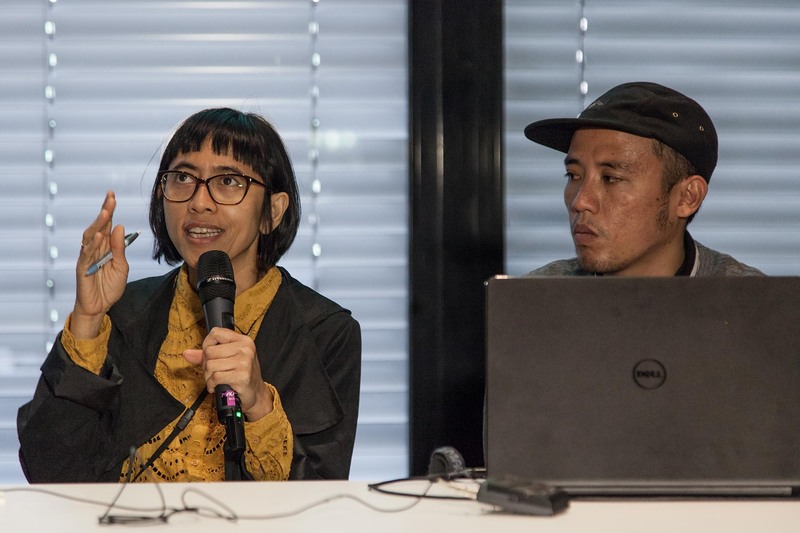 The recording contains an excerpt from chapter 9 of the book “Manusia Bebas” and traffic soundscapes in southern Jakarta. Tour of the Dapperbuurt with Marieke Van Rooy, an architecture historian. Marieke explains the history of the Dapperbuurt as a site of partecipative urban and architectural experimentation in the 70s. The area is located next to the Tropenmuseum. 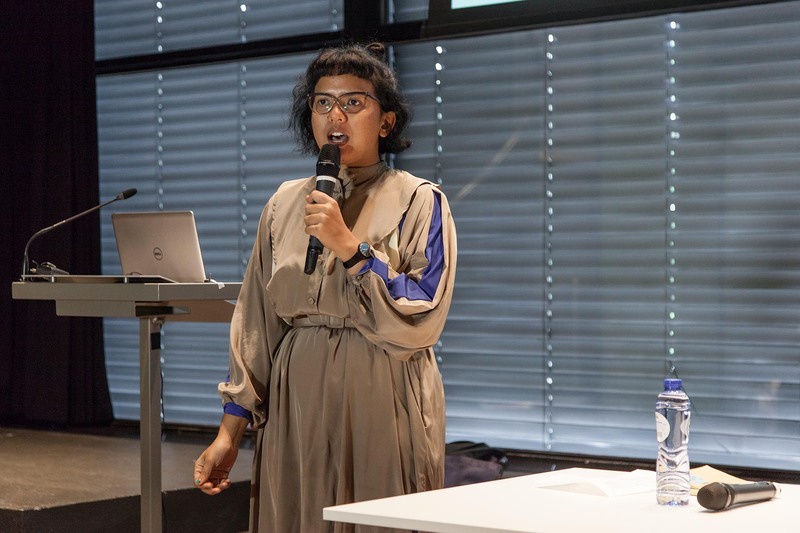 Raisa Kamila shared her master research project at Universiteit Leiden about the role of Acehnese local collaborators in relation to training as a colonial infrastructure. 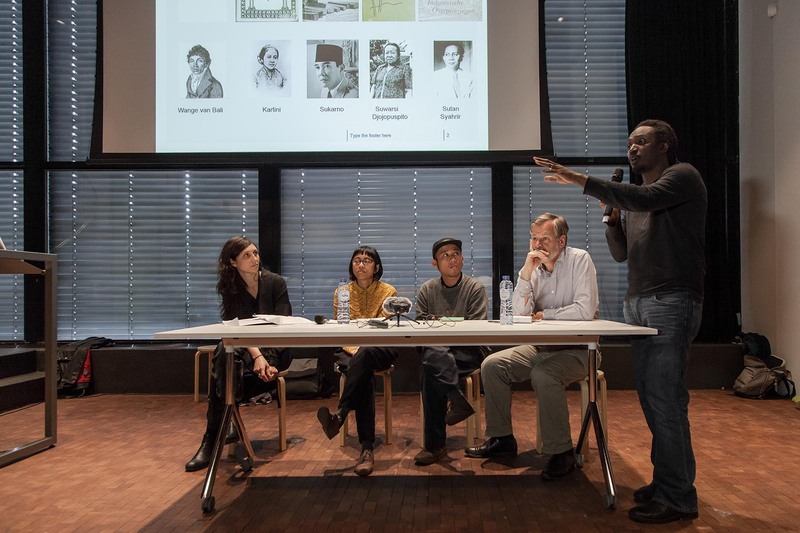 It focuses on the shift of the Ulèëbalang’s involvement, which according to Dutch colonial historiography constitutes the betrayal that encouraged local resistance. Her research implies the negation of the “victim” as often voiced through NGOs discourse impinged upon Aceh in contemporary Indonesia. The interview was taken inside the Tropenmuseum with René Boer, an urban researcher, curator and writer based in Amsterdam. We discussed his research collective and magazine "Failed Architecture". We addressed the notion of ruin as a critical entry point in questioning architecture in its relation to power structures. 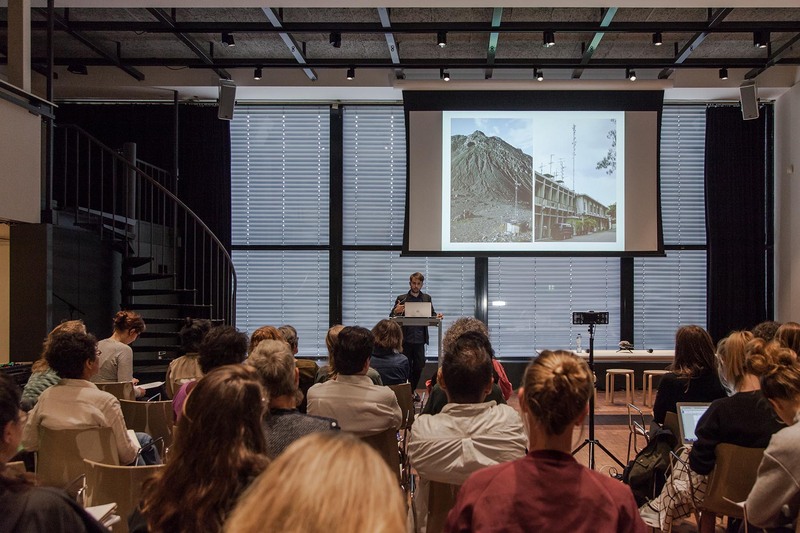 The discussion went further to unveil the practice of urban appropriation, colonial heritage and squatting practices in the Netherlands. 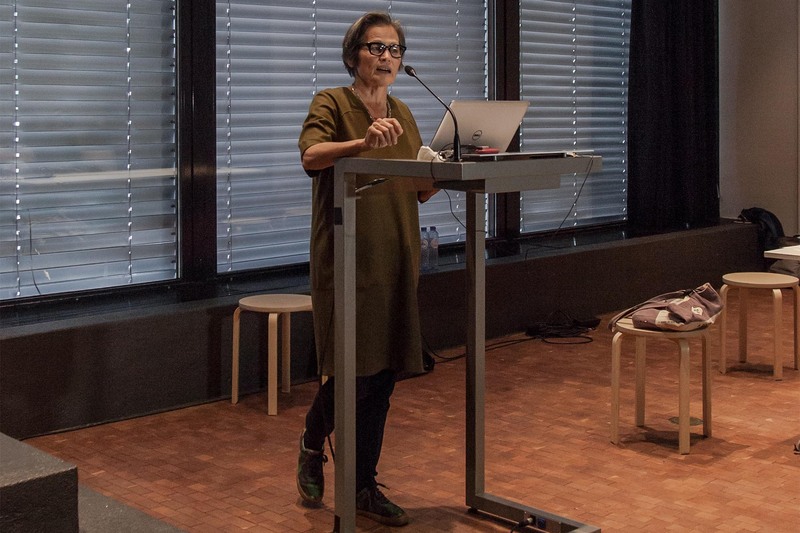 The concept of appropriation led us to the spatial dimension of colonial archives and the broader question of heritage in contemporary museum and urban contexts. 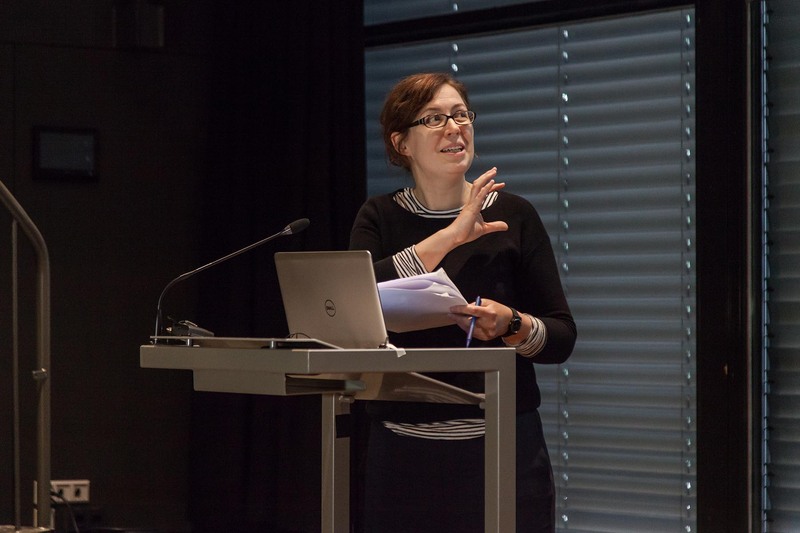 We invited Bart Luttikhuis, a KITLV researcher, to discuss her research around Europeanness, the Dutch Ethical Policy and education during the colonization of Indonesia. Susie Protschky’s book, Images of the Tropics, tells us about colonial images of the tropics. They narrate different narratives of how the Dutch envisioned the tropics, justified their territorial claims, and made sense of their place within imperial Europe and colonial Indonesia. 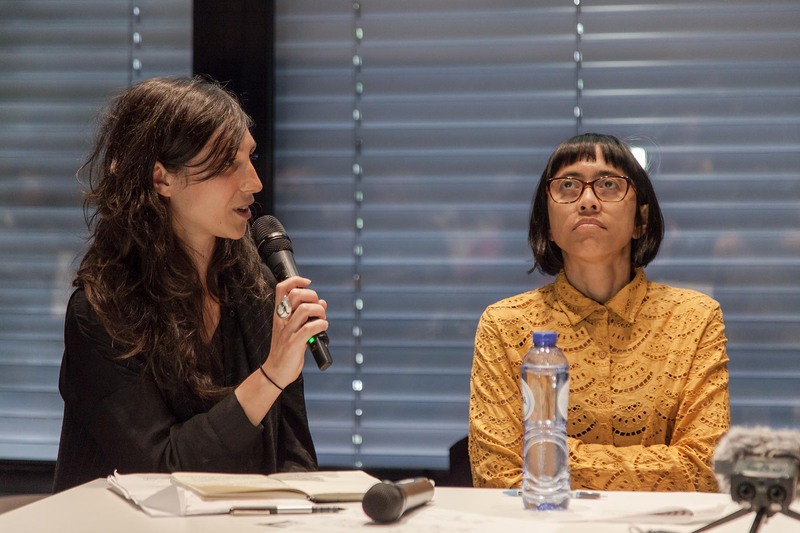 In the conversation, Susie talked about the recurring themes and omissions in colonial visual culture, forms of representations (object of fixation and fantasies, visibility and invisibility) that were appropriated to claim for territorial and political sovereignty. 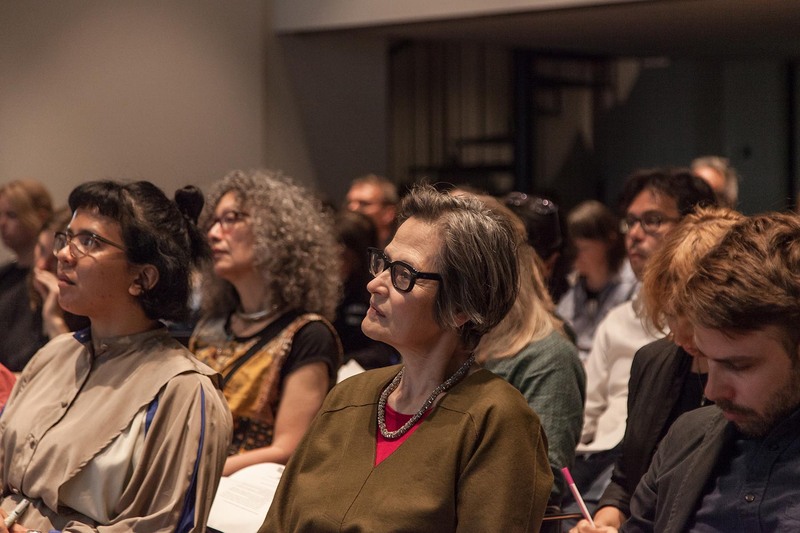 In this audio, Susie Protschky is being interviewed by Nuraini Juliastuti, member of KUNCI. 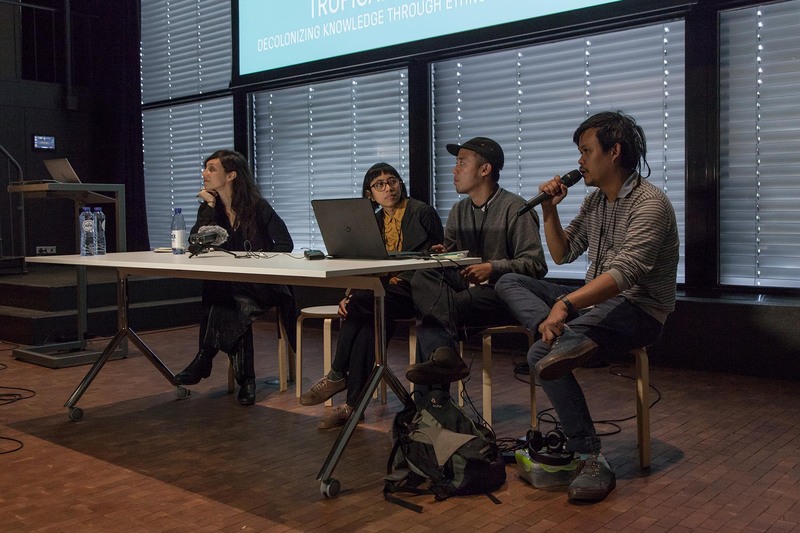 Ferdiansyah Thajib and Syafiatudina (KUNCI) are in conversation with Yvette Mutumba (ContemporaryAnd, C&) about how to keep doing what needs to be done, institutional practices and the current hype on "decolonizing" in a European context. The conversation was conducted in Victoria Park, on the 21st of May 2017, in Berlin, Germany. 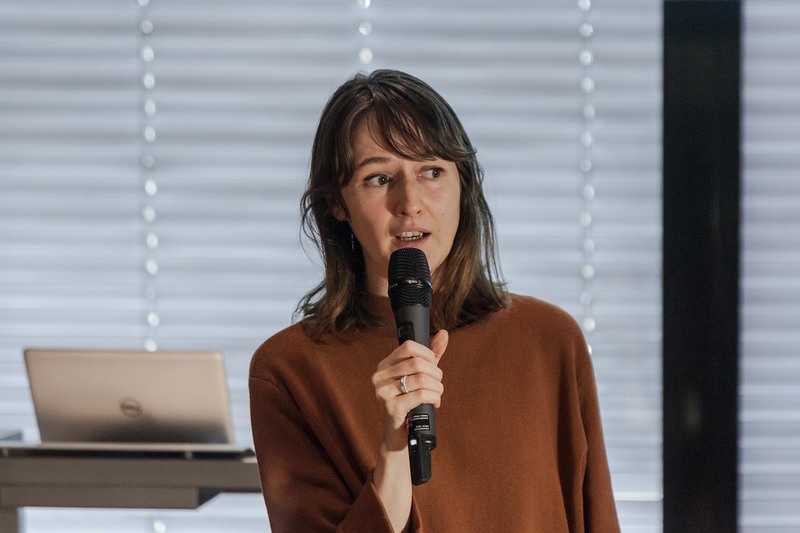 A conversation between KUNCI and Marieke Bloombergen, a cultural historian and senior researcher at KITLV. The conversation started with her research for the book Colonial Spectacles: The Netherlands and the Dutch East Indies at the World Exhibitions, 1880-1931. The issue of mobility brought us to discuss forms of productive ‘archive reading’ in surpassing state-formed archives. 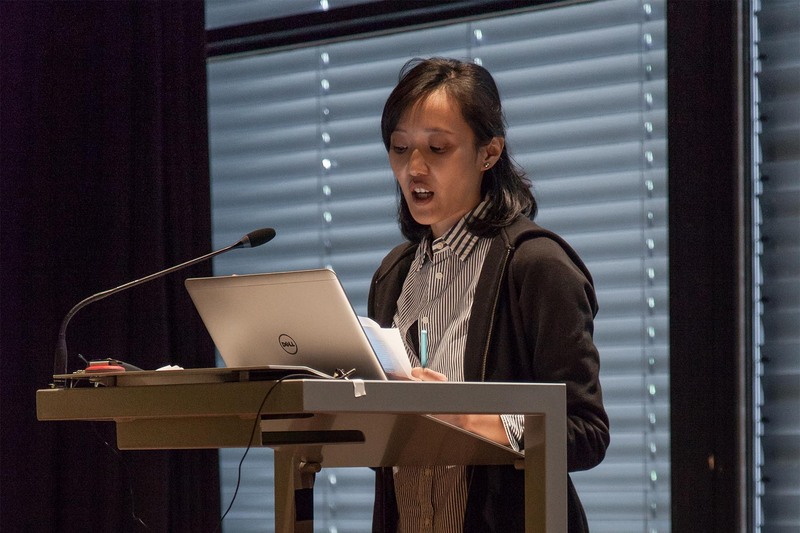 Her latest research on the "Greater India" looks at knowledge production through the networks of scholars, pilgrims, and hippies in post colonial Indonesia. 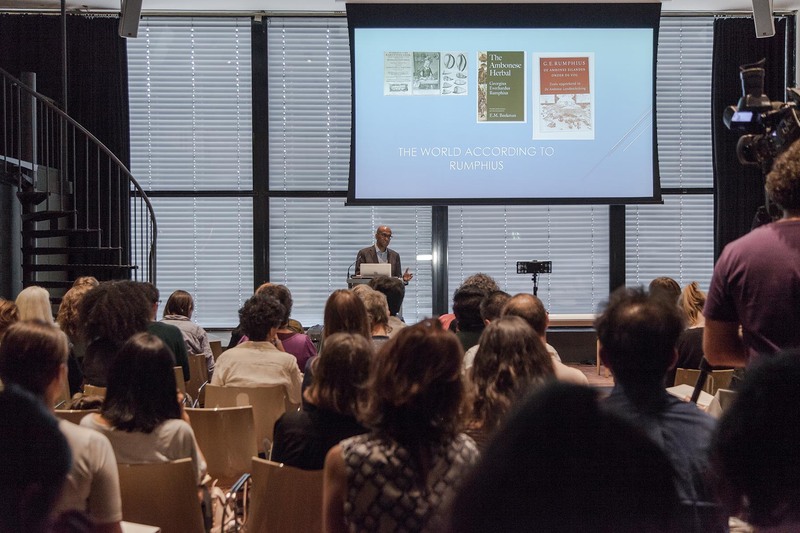 A tour of the International Institute of Social History by Klaas Stutje. Stutje, who is a researcher at the IISH, brought us to the storage to look at the archive collection. 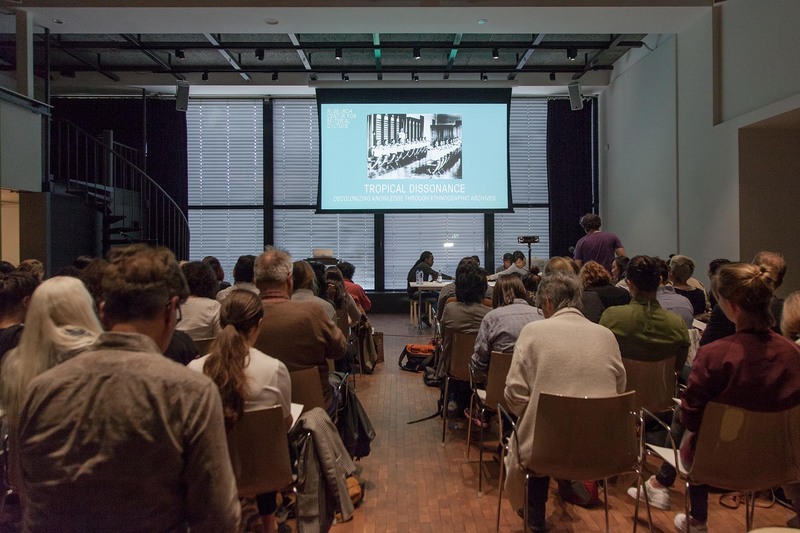 You can listen to the history of the building, the institute's research practice and its collection which is mainly formed by the archives of leftist, anarchist and socialist movements across the world. The institute also stores archives related to Indonesian social movements in important historical periods such as the decolonization (1945-1949), the '65 exile in the Netherlands, and the reformasi. A conversation between KUNCI and Klaas Stutje. 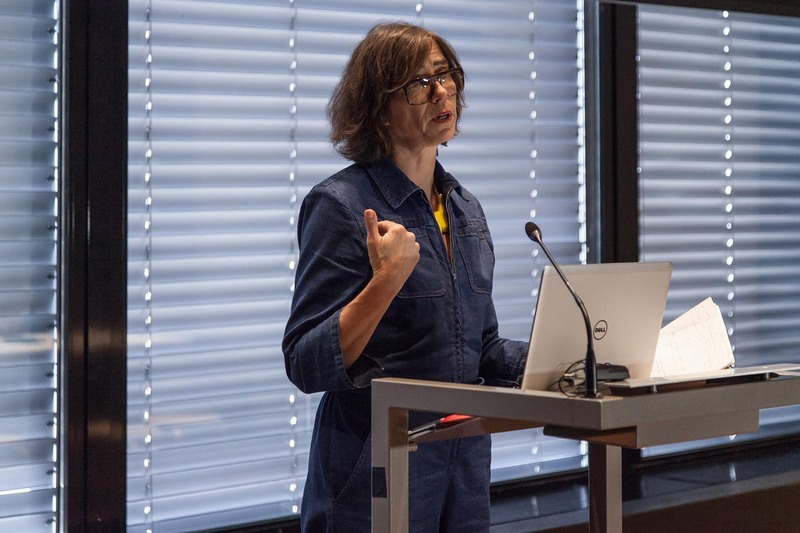 Stutje is a researcher at the International Institute of Social History, Amsterdam. 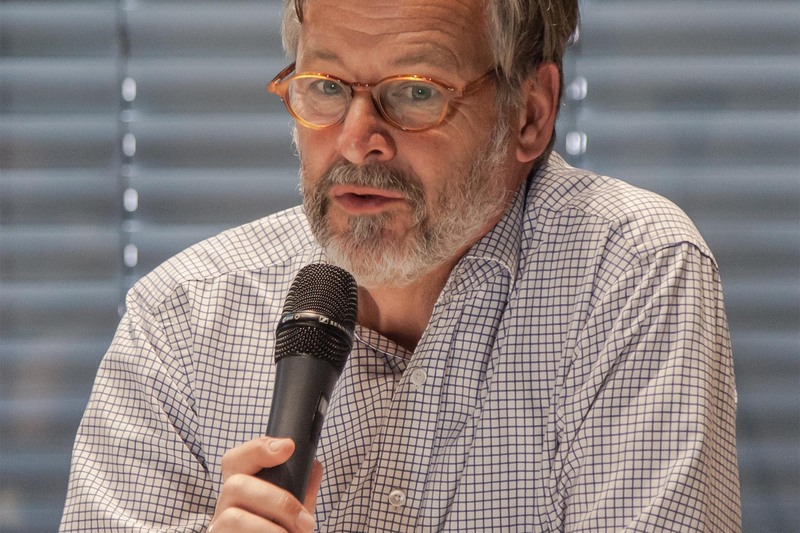 Klaas Stutje takes part in the larger research program ‘Four Centuries of Labor Camps: War, Rehabilitation, Ethnicity’, which is financed by the Dutch Organization for Scientific Research and carried out by the IISH and the NIOD Institute for War, Holocaust and Genocide Studies. 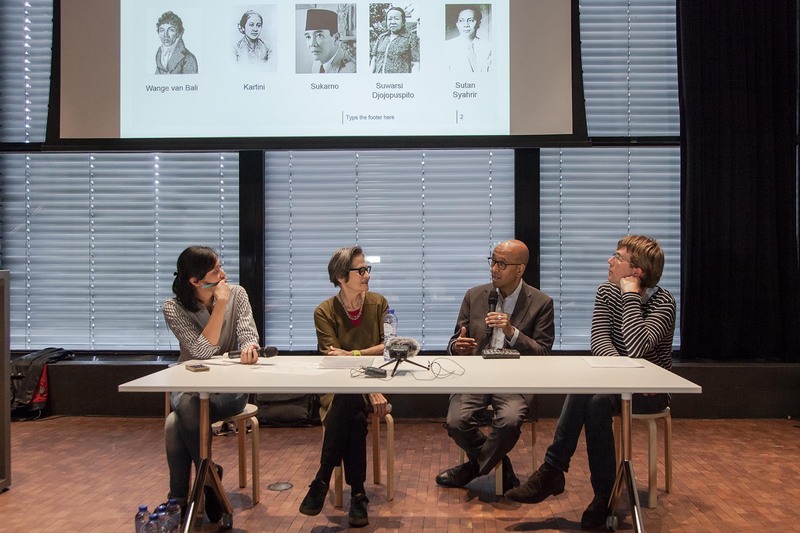 The conversation complicates the Dutch paternalistic image of the Netherlands as the site of modern education the nurtured the formation of Indonesian resistence movements. 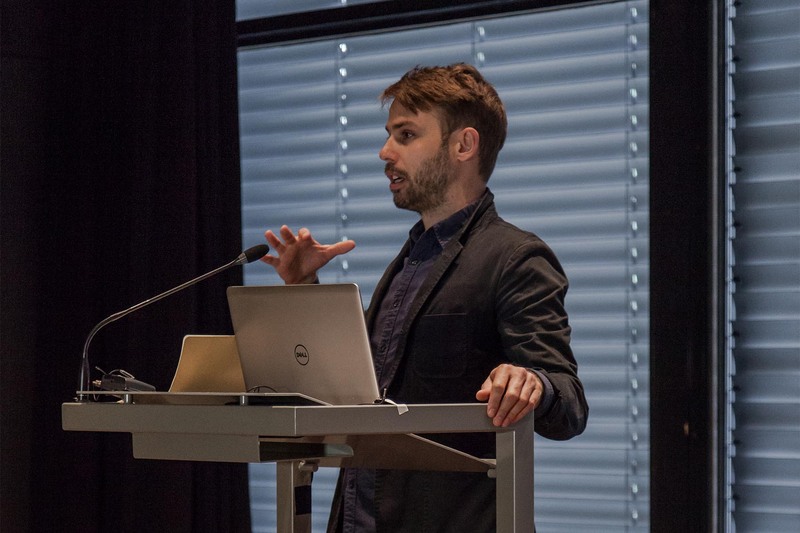 His research rather focuses on the role played by the Indonesian students organisation ‘Perhimpunan Indonesia’ as a network of people that allowed Indonesian students in the Netherlands to get connected to wider and diverse social movements in European cities and in Russia. This network later shaped the idea of nationalist movement in Indonesia. 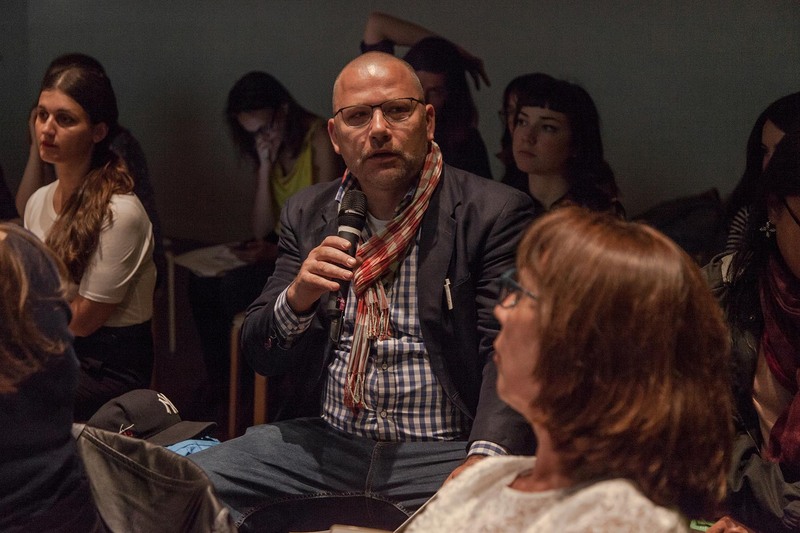 A conversation between KUNCI and Michael Karabinos, an artist-archivist based in Amsterdam. 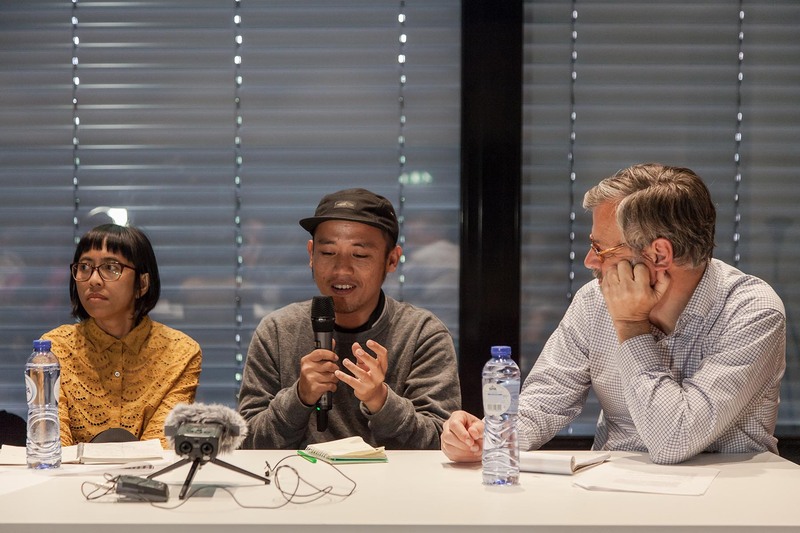 He tells us about the controversial archive "Djogja Documenten" which was seized by the Dutch army during the Second Dutch Military Aggression to the newly formed Republich of Indonesia in 1948. 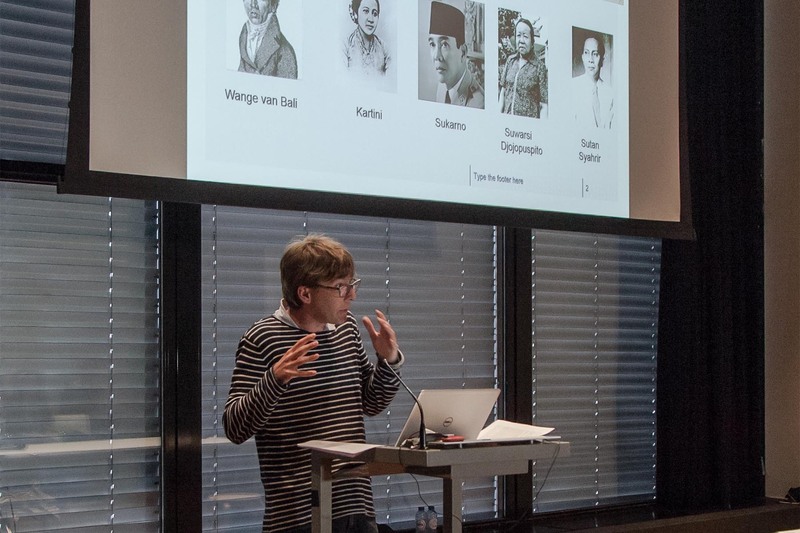 His research on the return of this displaced archive touches upon a crucial moment in the Indonesia-Netherlands post-colonial relations as Suharto took power. 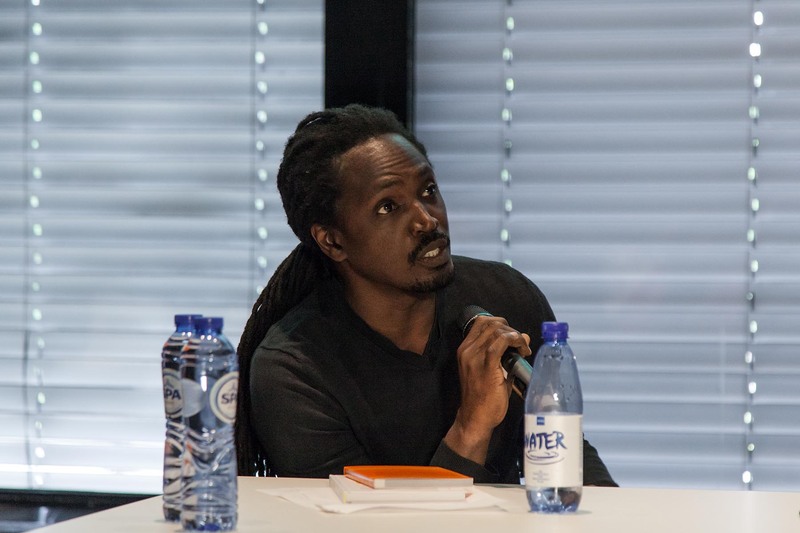 The discussion continued with his current research project at the Van Abbemuseum, Eindhoven in which he investigates Henri Van Abbe's tobacco business in the colonies and the formation of his art collection. The discussion later revolves around the question of authenticity in archival policies. 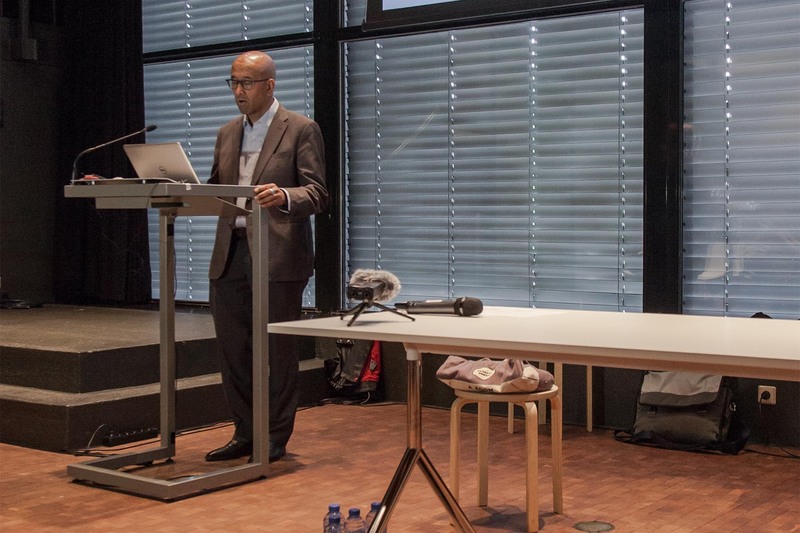 A conversation between Kunci and Mr. Sarmadji, an Indonesian political exile who has been living in the Netherlands since the mid 1970s. When the Indonesian politics was in turmoil in 1965, he was a student in Beijing. Following the confiscation of his passport and his Indonesian nationality by the Indonesian New Order regime, he was forced to stay in Beijing. The conversation chronicles parts of his life stories, the feelings towards Indonesia, which lead to the establishment of Perhimpunan Dokumentasi Indonesia. He talked about managing these archives as a way to overcome sadness and other melancholies. Above all it is about the art of perseverance and how to keep on living amidst difficulties. A conversation between Fiky Daulay (Kunci) and Bortusk, a street artist based in Amsterdam. Bortusk talks about his spatial experience in Amsterdam. 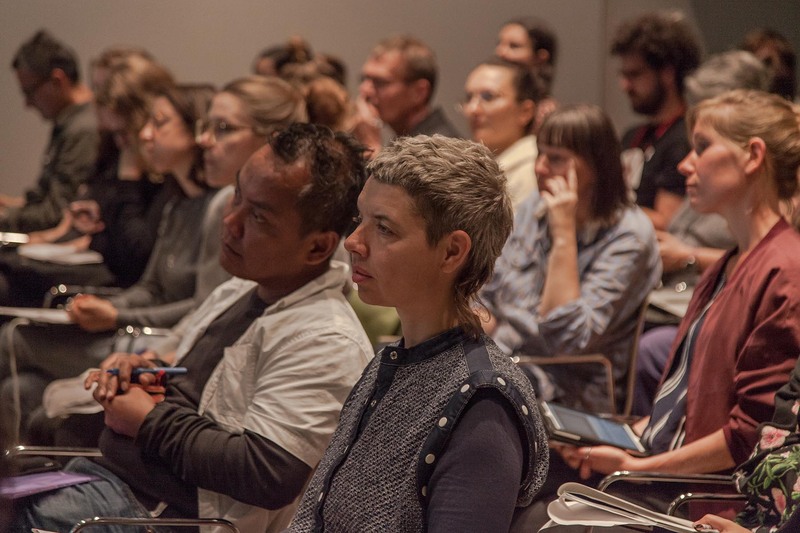 The discussion went further revolving around the ease of mobility in the city, the gentrification of the surrounding area of the Tropenmuseum, his artworks and multicultural residential areas. The storyline within this guide functions as an alternative reading of the objects being displayed in the permanent exhibition. Inaugurated in 2003, the exhibition is fashioned as a colonial theater which was made to illustrate the century-long colonization of nowadays Indonesia by the Netherlands. Through hyper-realistic life-size mannequins and artifacts of different kinds, the colonial theater aims to provide the audience with narrative sceneries of the daily life in the so-called East Indies, exploring different macro-areas such as “Education,” “Art,” “At Home,” “Commerce,” “Discovery,” and “Presentation.” The audio guide content is exclusively developed as a critical attempt to address the ineffable gaps lurking in between the spectacular materiality of colonial gaze. Its aim is to unsettle the museum’s visual syntax and rhetoric through the use of sound and its impalpable, ubiquitous, evocative power. The story that you will be listening to in the guide is voiced by Sulastri, the main fictional character of Buiten het Gareel, a novel written by the Javanese feminist teacher and anti-colonial activist Suwarsih Djojopuspito and published in Dutch in 1940. The novel — which was published in Indonesian only in 1975 under the title Manusia Bebas, or the “Free Man” — chronicles the life of a female teacher and her husband, who organized a “wild” (illegal) school in late colonial West Java. 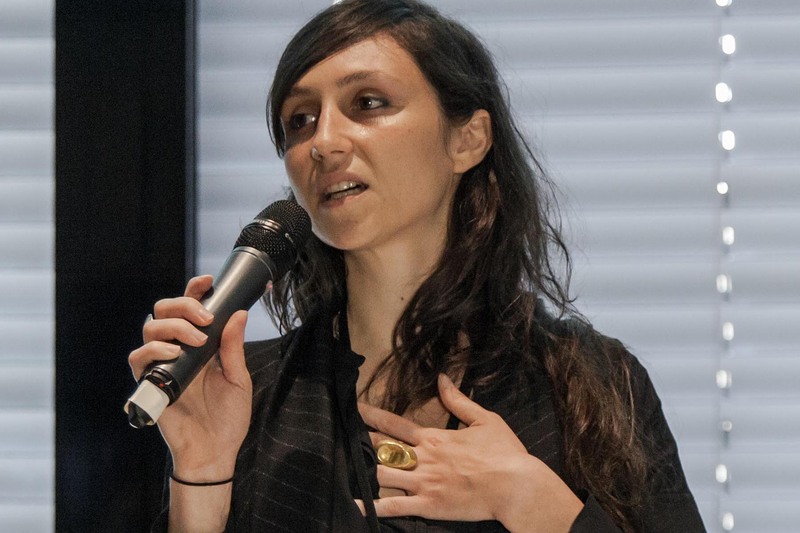 Her narrative moves from personal conflicts to the more political ones–financial difficulties in running the school, challenges in dealing with the school’s internal dynamics and oppressive colonial system. The figure of Sulastri is represented in the museum by a mannequin portraying an Indonesian teacher in the section about “Education in the East Indies.” This mannequin was originally made for the Netherlands East Indies pavilion in the Paris World Exhibition of 1931 and entered the museum’s collection in 1934. Throughout the years this human prop served different roles and assumed different identities, bearing testimony to the various representational practices of Dutch colonial history in the museum. Tiga bagian audio guide ini adalah sebuah intervensi site-specific yang diwujudkan oleh Kunci Cultural Studies Center (Yogyakarta, Indonesia) pada pameran permanen Netherlands East Indies di Tropenmuseum. Guide ini diproduksi dalam kerangka 6 minggu riset residensi di Tropenmuseum, sebuah proyek yang difasilitasi oleh wadah independen Heterotropics dan Research Center for Material Culture. Audio guide ini dapat didengar online di radio.kunci.or.id and dapat diakses oleh siapa saja, baik di dalam atau di luar museum. Alur cerita di dalam panduan ini berfungsi sebagai sebuah pembacaan alternatif atas obyek yang dipamerkan di pameran permanen. Diresmikan pada 2003, pameran tersebut dibentuk sebagai sebuah teater kolonial yang dibuat untuk menggambarkan penjajahan berabad-abad atas Indonesia hari ini oleh Belanda. Melalui manekin seukuran manusia yang hyper realistis dan artefak yang beragam, teater kolonial bertujuan untuk menyediakan pemandangan naratif atas kehidupan sehari-hari di Hindia Belanda, menyusuri berbagai wilayah makro seperti ‘Pendidikan’, ‘Seni’, ‘Di Rumah’, ‘Perdagangan’, ‘Penemuan’, dan ‘Pertunjukan’. Isi audio guide ini secara khusus dikembangkan sebagai sebuah percobaan kritis untuk menghadapi celah-celah yang tak terjelaskan mengendap di antara materialitas tatapan kolonial yang spektakuler. Tujuannya adalah untuk mengguncang sintaks visual dan retorika museum melalui penggunaan suara dan kekuatannya yang jelas, hadir di mana-mana dan ekspresif. Cerita yang akan anda dengar di dalam audio guide ini disuarakan oleh Sulastri, karakter fiksional utama di Buiten Het Gareel, sebuah novel yang ditulis oleh seorang guru Jawa feminis dan aktivis anti-kolonial Suwarsih Djojopuspito dan diterbitkan dalam bahasa Belanda pada 1940. Novel-yang kemudian baru diterbitkan pada 1975 dengan judul Manusia Bebas-kronik tentang hidup seorang guru perempuan dan suaminya, yang mengoranisir sekolah ‘liar’ (ilegal) di masa akhir kolonial di Jawa Barat. Narasinya bergerak dari konflik personal ke konflik-konflik politis-kesulitan finansial dalam menjalankan sekolah, tantangan dalam berurusan dengan dinamika internal sekolah dan sistem kolonial yang menindas. Figur Sulastri di museum direpresentasikan oleh sebuah manekin yang menggambarkan seorang guru Indonesia pada bagian “Pendidikan di Hindia Belanda”. Manekin ini pada awalnya dibuat untuk paviliun Hindia Belanda di Paris World Exhibition 1931 and menjadi koleksi museum pada 1934. Pada masanya dekorasi berwujud manusia ini memainkan peran-peran yang berbeda dan diasumsikan dengan bermacam identitas, mendukung testimoni bagi bermacam praktek representasional atas sejarah kolonial Belanda di museum. Di dalam audio guide ini, kontradiksi kehadiran fiktif Sulastri ditekankan dengan menggunakan tubuh dan suaranya untuk menyusuri lorong waktu sejarah-sebagai bukti, sebagai saksi, sebagai pengamat, sebagai yang diamati, sebagai korban sekaligus sebagai penyintas atas politik representasi kolonial dan pasca kolonial. Di dalam guide kami suara Sulastri menjalin naratif yang beragam yang membawa pengunjung ke dalam dan ke luar museum, memperbesar apa yang tersembunyi di balik yang tampak. Suaranya dihadirkan sebagai sebuah antitesis atas pandangan museum dan sebagai sebuah medium untuk mengklaim kembali sejarah kolonial. Rute-rute di guide ini adalah jalur-jalur beragam yang kami pilih untuk memperbesar titik pandang pengetahuan kami dan kekurangan kami atas sejarah tersebut sekaligus memposisikan kembali diri kami terhadap bentukan pengetahuan kolonial.